Adopting the 15 healthy habits outlined here will help you turn your life around! Instead of focusing on your past, something that can't be changed, this practical manual emphasises what you can do right now to start building a new future - one that is successful, peaceful and loving. Building Up harnesses your innate talents and skills adding to them concrete lifestyle strategies, which based upon your own individual experiences, enable you to prosperously, happily and harmoniously relate to the rest of the world. BUILDING UP - Building Bridges from Baggage We all carry baggage. But does that determine the kind of person you are? 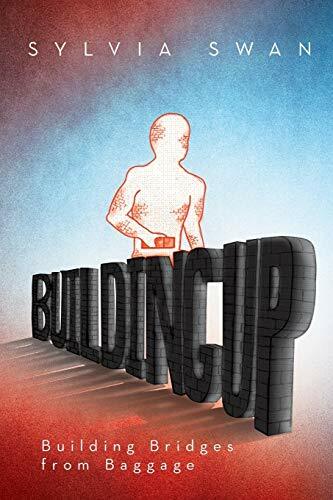 Building Up is a practical guide to becoming the person you want to be - the happy, contented, successful person you deserve to be. Here you are lead through a number of daily strategies designed to make you more resilient, effective and a whole lot more fun. You hear how the author herself fought her way through daily depression to emerge a stronger, healthier and happier person. Through her stories of personal loss you come to see that negative thinking is a habit that can be overcome.